Classroom poster. 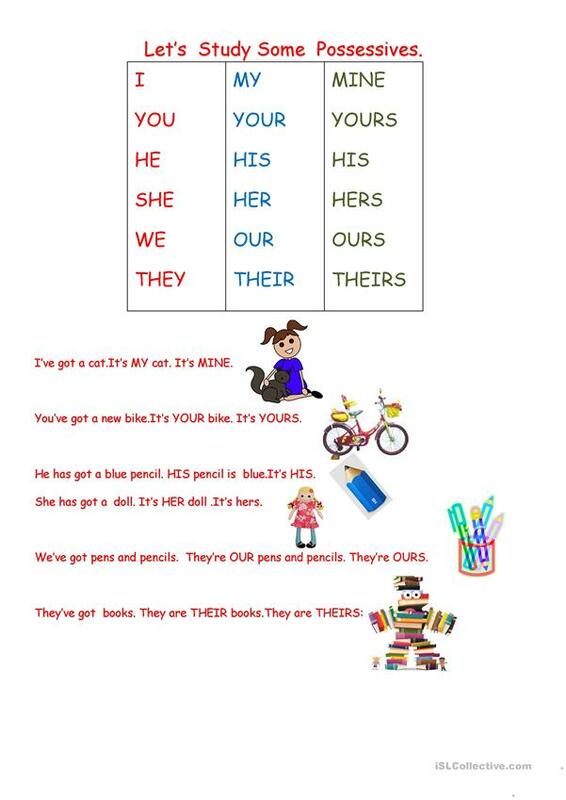 It can be used to practise different possessives.Sts can tell / write their own sentences.They can draw to illustrate their sentences.hope you like it. This downloadable handout is intended for elementary school students and students with special educational needs, learning difficulties, e.g. dyslexia at Beginner (pre-A1) and Elementary (A1) level. It is a valuable material for honing your class' Speaking, Reading and Writing skills.